Modern Science has discovered that in the places where two different seas meet, there is a barrier between them. This barrier divides the two seas so that each sea has its own temperature, salinity, and density. For example, Mediterranean Sea water is warm, saline and less dense, compared to Atlantic Ocean water. When Mediterranean Sea water enters the Atlantic over the Gibraltar sill, it moves several hundred kilometers into the Atlantic at a depth of about 1,000 meters with its own warm, saline and less dense characteristics. The Mediterranean water stabilizes at this depth. The Mediterranean Sea water as it enters the Atlantic over the Gibraltar sill with its own warm, saline and less dense characteristics, because of the barrier that distinguishes between them. Temperatures are in degrees Celsius (C). Even in depths (indicated here by darker colors) up to 1,400 meters and at distances ranging from a minus -100 to +2,500 meters, we find that both bodies of water maintain their individual temperatures and salinity. He has let free the two seas meeting to gather. There is a barrier between them. They do not transgress. But when the Quran speaks about the divider between fresh and salt water, it mentions the existence of "a forbidding partition" with the barrier. He is the one who has let free the two bodies of flowing water, one sweet and palatable, and the other salty and bitter. And He has made between them a barrier and a forbidding partition. 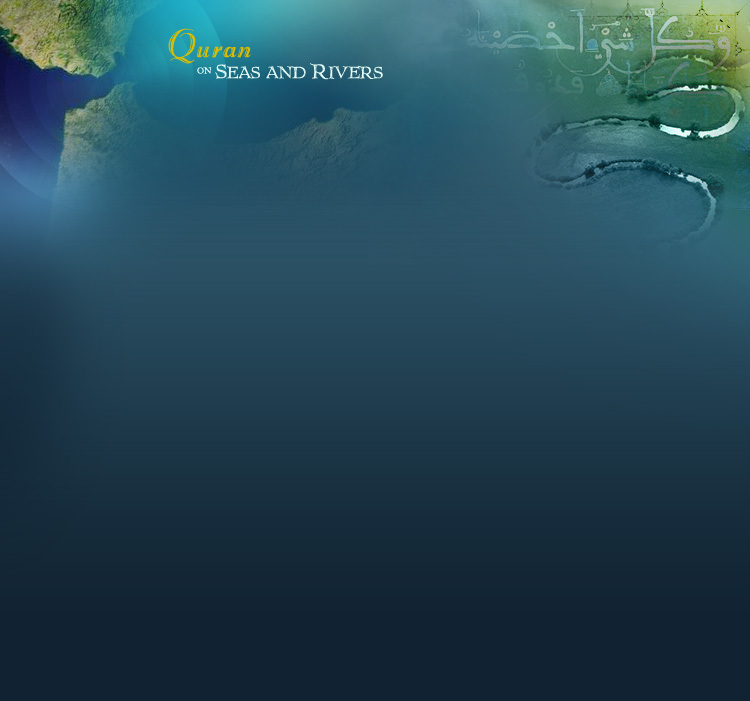 On may ask, why did the Quran mention the partition when speaking about the divider between fresh and salt water, but did not mention it when speaking about the divider between the two seas? Modern science has discovered that in estuaries, where fresh (sweet) and salt water meet, the situation is somewhat different from what is found in places where two seas meet. It has been discovered that what distinguishes fresh water from salt water in estuaries is a "pycnocline zone with a marked density discontinuity separating the two layers." What about us? Are we a part of creation? How did we begin? What develops us and causes us to live and die? How are we sustained?